Yeah, it was not the brightest idea I’ve ever had. 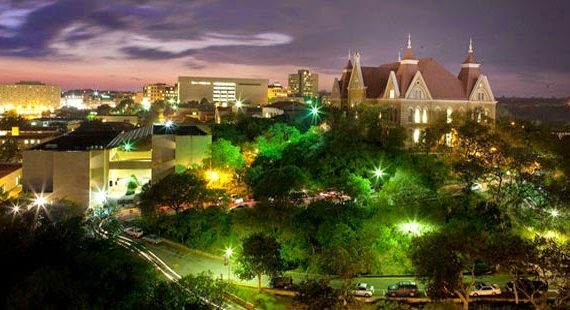 All right, funny story; the campus at Texas State is built on/between the crest of two hills. So, no matter which what you’re walking on campus it’s uphill. Yeah, when I went to school I literally had to walk uphill. BOTH WAYS. Back to the regular story: part of the business degree plan involved accounting. Yeah, I know. Accounting! Thrills! Excitement! Lots of spreadsheets! So, thrilling that I missed a fair share of class. Well, to paraphrase Office Space I wasn’t exactly missing it. About halfway through the semester on one of the days I made it to class, the professor tells me he wants to speak with me after class. And I’m like, well that’s never good. To be honest; he was right. I wasn’t doing much of the outside reading if any. Occasionally, I did the out-of-class work to reinforce what was happening in class. Really, I was doing just enough to fake my way. He was the best teacher I’ve ever had. Walking out of his class, I knew what I had to do. There wasn’t a choice about it. I walked straight across campus to Flowers Hall, the home of the English department. I changed my major to English with a focus in Fiction Writing. I had always dreamed of being a writer, and damn it, I was going to take his advice! Which really worked out for me. Texas State has this amazing writing program at the undergraduate and graduate level. I got exposure to some amazing writers and input on how to improve my writing. I got up early every morning to get to class. I stayed late every night because it was so much fun.